Powerful SSIS Source & Destination Components that allow you to easily connect SQL Server with Microsoft Project through SSIS Workflows.Use the Microsoft Project Data Flow Components to synchronize with Tasks, Issues, Projects, Deliverables, etc. Projects, Deliverables, etc. Perfect for data synchronization, local back-ups, workflow automation, and more! Leverage the power and flexibility of SSIS Workflows with our Data Flow Tasks and easily connect to live Microsoft Project in your ETL projects. 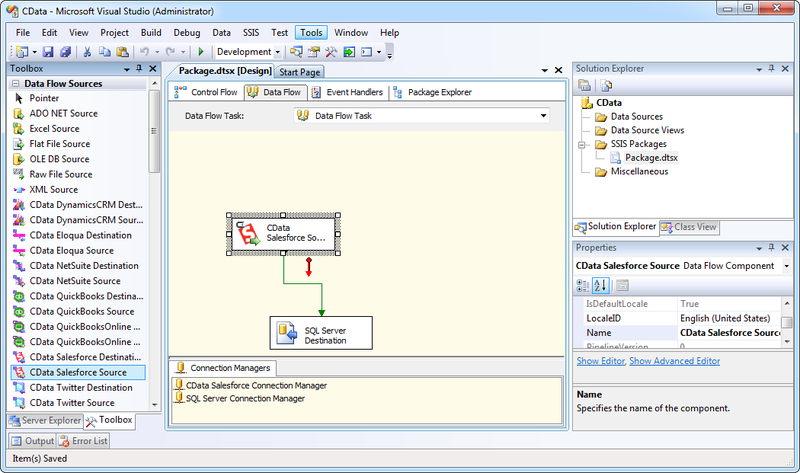 Using MS Project SSIS Components users can easily connect and synchronize data with Microsoft Project through native SSIS Source and Destination components. Use CData Data Flow Tasks to connect SQL Server with Microsoft Project without expensive custom integration or application development. Use SQL Server Integration Services and MS Project SSIS Components to easily connect and synchronize SQL Server with Microsoft Project data.